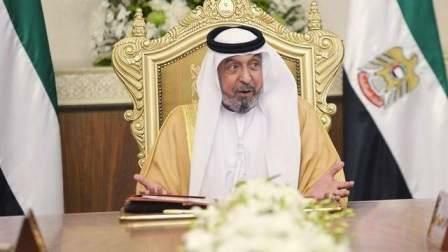 His Highness Sheikh Tahnoun bin Zayed Al Nahyan, National Security Adviser, has conveyed condolences of President His Highness Sheikh Khalifa bin Zayed Al Nahyan to the Custodian of the Two Holy Mosques King Salman bin Abdulaziz Al Saud of Saudi Arabia, on the death of Prince Abdul Rahman bin Abdulaziz Al Saud. He also conveyed the condolences of Vice President, Prime Minister and Ruler of Dubai, His Highness Sheikh Mohammed bin Rashid Al Maktoum, and His Highness Sheikh Mohamed bin Zayed Al Nahyan, Crown Prince of Abu Dhabi and Deputy Supreme Commander of the UAE Armed Forces. The UAE delegation accompanying Sheikh Tahnoun included HH Sheikh Dhiyab bin Mohamed bin Zayed Al Nahyan, Sheikh Zayed bin Hamdan bin Zayed Al Nahyan, Sheikh Shakhbout bin Nahyan bin Mubarak Al Nahyan, Ambassador at the Ministry of Foreign Affairs and International Cooperation.